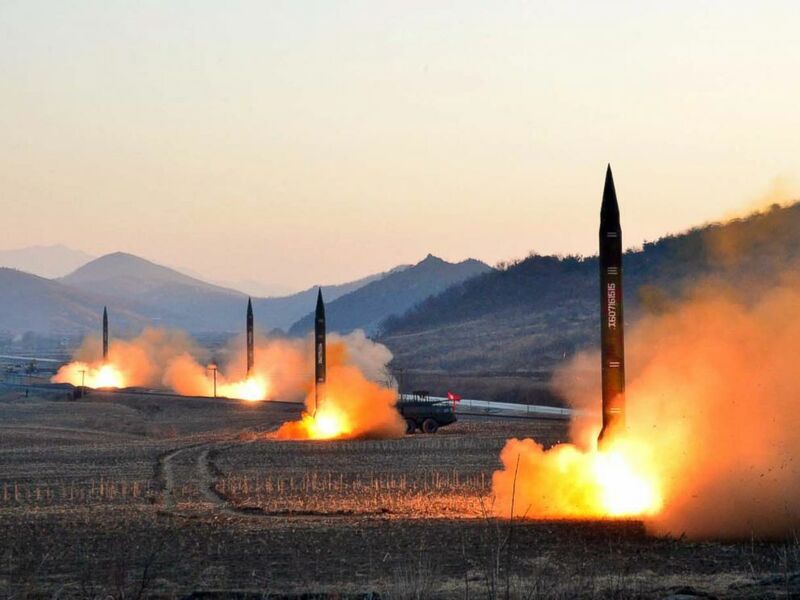 Home Tags Posts tagged with "north korea nuclear test"
North Korea has conducted a ballistic test in for the first time since President Donald Trump took office. President Trump assured Japan’s PM Shinzo Abe that “America stands behind Japan, its great ally, 100%”. The ballistic missile fired by North Korea flew east towards the Sea of Japan for about 310 miles, South Korean officials say. PM Shinzo Abe said the test was “absolutely intolerable”. According to Japanese officials, the missile did not reach its waters. 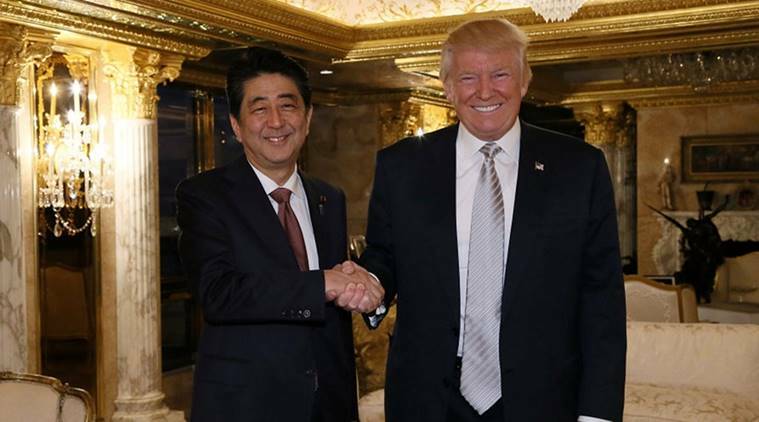 Speaking at a joint press conference during a visit to the US, Shinzo Abe added that Donald Trump had also assured him that he was committed to “further enforcing our alliance”. North Korea has conducted a number of nuclear tests in the past year in acts of aggression that continue to alarm and anger the region. February 12 launch took place at 07:55 local time from the Banghyon air base in North Pyongan province on the west side of the Korean peninsula. The missile reached an altitude of about 350 miles, according to a South Korean official quoted by Reuters, and appeared to be a Rodong medium-range missile. Kim Jong-un said last month that North Korea was close to testing long-range missiles capable of carrying nuclear warheads. On a visit to South Korea last week, Defense Secretary James Mattis said that any use of nuclear weapons by North Korea would be met with an “effective and overwhelming” response. James Mattis also reconfirmed plans to deploy a US missile defense system in South Korea later this year. North Korea conducted its fifth test of a nuclear device in 2016, and claims it is capable of carrying out a nuclear attack on the US, though experts are still unconvinced that its technology has progressed that far. North Korea has also said in recent weeks that it has a new intercontinental ballistic missile, capable of reaching the US mainland, which it is prepared to test launch at any time. According to South Korean officials, North Korea could be ready to conduct another nuclear test at any time. North Korea conducted its fifth underground nuclear test on September 9, thought to be its most powerful yet. A South Korean defense ministry spokesman said there was still an unused tunnel at the Punggye-ri test site which could be used for a sixth explosion at any time. Last week’s widely condemned test has ratcheted up tension and led to fierce rhetoric from South Korea. On September 11, one South Korean military source told the Yonhap news agency that Pyongyang could be annihilated if it showed any signs of mounting a nuclear attack. While doubts remain over North Korea’s claim that it can now mount nuclear warheads on ballistic rockets – meaning it can carry out a nuclear attack – experts say the recent progress is worrying. On September 12, Yonhap cited an unnamed government source as saying reports indicated the North had finished preparations for a further test, in previously unused tunnel at the Punggye-ri site deep underneath mountains in the north-east. “Intelligence authorities in Seoul and Washington are keeping close tabs,” the unnamed government official was quoted as saying. Defense ministry spokesperson Moon Sang-gyun later gave a similar statement to reporters. He would not give further details citing security reasons. The UN Security Council has already agreed to start drawing up new sanctions against North Korea, something the North called “laughable”. Pyongyang has carried out two nuclear tests in 2016, as well as several tests of powerful missiles. Both are banned by existing sanctions. On September 12, Japan’s Kyodo news agency reported that North Korean Foreign Minister Ri Yong-ho had arrived in Beijing. China is North Korea’s main ally and trading partner, but has grown increasingly intolerant of its military actions and Kim Jong-un’s aggressive rhetoric. China’s support for toughened sanctions is crucial if they are to have any impact. President Barack Obama has rejected North Korea’s proposal to halt nuclear tests if the US ceases its annual military exercises with South Korea. On April 24, Barack Obama told reporters that the US did not take such a proposal seriously and that Pyongyang would “have to do better than that”. 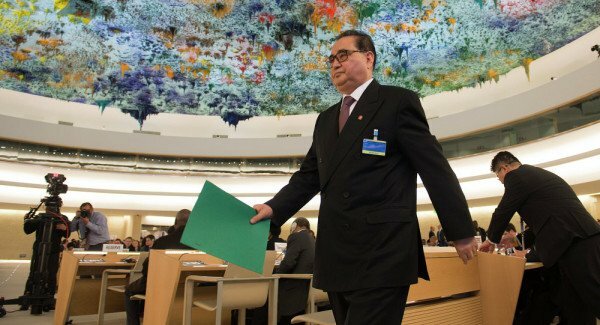 North Korean foreign minister Ri Su-yong made the offer in a rare interview. Annual military drills conducted by the US and South Korea routinely inflames tensions with North Korea. Ri Su-yong’s comments came as North Korea said it fired a ballistic missile from a submarine off its eastern coast. The UN condemned the test, which it called a “serious violation” of past resolutions aimed at curbing North Korea’s nuclear ambitions. International sanctions have been stepped up in the wake of several controversial nuclear and missile tests by North Korea. 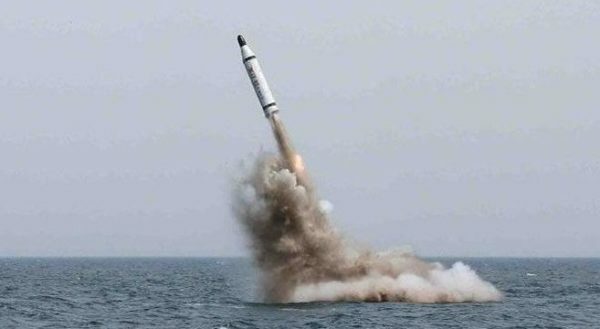 The latest allegedly took place last week, with North Korea claiming to have used “cold launch” technology to fire a missile from a submarine, where it is expelled using gas pressure. 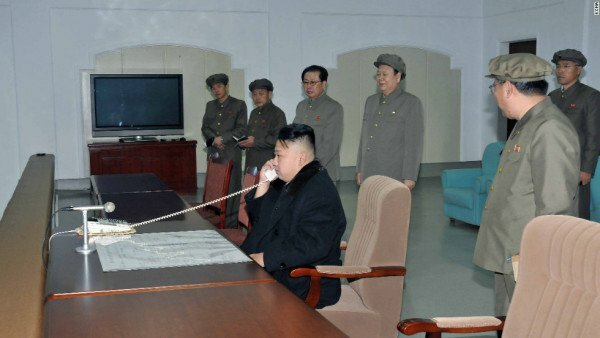 North Korea also conducted its fourth nuclear test with a hydrogen bomb in January sparking worldwide condemnation, and claimed last month that it has developed nuclear warheads small enough to fit on ballistic missiles, though experts have disputed such claims. Analysts believe that North Korea may be gearing up for a fifth nuclear test as a show of strength ahead of the Workers’ Party Congress, the first since 1980. South Korea has decided to suspend operations at Kaesong complex following North Korea’s recent rocket launch and nuclear test. Kaesong is a jointly-run industrial park in North Korea, the last points of co-operation between the two Koreas and a key source of revenue for Pyongyang. South Korea said all operations at the complex would halt, to stop the North using its investment “to fund its nuclear and missile development”. It came as Japan imposed new sanctions against North Korea following the launch. The US warned on February 9 that North Korea could soon have enough plutonium for nuclear weapons. South Korea, the US, Japan and others see February 7 rocket launch – ostensibly to put a satellite into space – as cover for a banned test of missile technology. Tensions have risen over the past month since North Korea carried out a fourth nuclear test in early January. “All our support and efforts… were taken advantage of by the North to develop its nuclear weapons and missile programs,” South Korea’s Unification Minister Hong Yong-pyo told reporters. The announcement came amid reports that North Korea’s military chief, Ri Yong-gil, had been executed on corruption charges. South Korea’s state news agency Yonhap quoted unnamed sources saying the general, who was appointed in 2013, had been deemed guilty of corruption and pursuing personal gains. There was no confirmation of the report. According to the UN’s International Maritime Organization (IMO), North Korea has announced plans to launch a satellite later this month. The IMO says it has been notified of Pyongyang’s plans to launch a satellite between February 8 and 25. It comes after North Korea conducted its fourth nuclear test on January 6, drawing international condemnation. Critics have called North Korea’s last satellite launch a cover for a test of ballistic missile technology. Last week, US officials said that North Korea appeared to be preparing for a rocket launch, citing increased activity around the Sohae Satellite Launching Station, also known as Tongchang-ri. North Korea last conducted a long-range rocket launch in December 2012, successfully putting into orbit an object Pyongyang claimed was a communications satellite with the three-stage Unha-3 carrier. However, the UN Security Council subsequently said that the launch was “a clear violation” of resolutions banning North Korea from missiles tests, and imposed new sanctions. North Korea has said its space program is peaceful, but it is believed to be developing an intercontinental ballistic missile (ICBM) that could strike the US. The United States and China say a new UN resolution against North Korea is needed, following Pyongyang’s claim that it had successfully tested a hydrogen bomb earlier this month. Secretary of State John Kerry, who is in Beijing for talks, called North Korea’s nuclear ambitions a “threat to the world” and urged new sanctions. However, his Chinese counterpart Wang Yi suggested China would not support any sanctions. 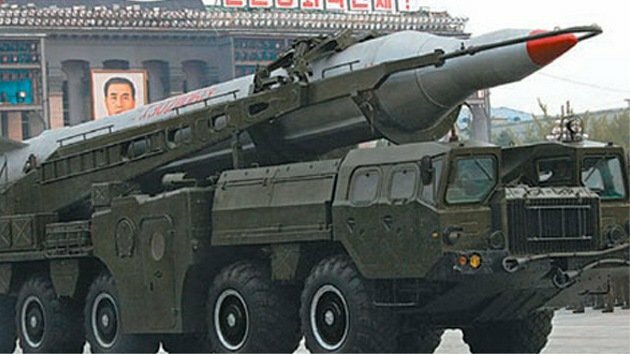 China is North Korea’s main ally, but has condemned Pyongyang’s nuclear test. On January 6, a 5.1 magnitude tremor was detected in North Korea – which said it had successfully conducted an underground hydrogen bomb test. However, nuclear experts questioned North Korea’s claim, saying the size of the blast was not large enough to have been from an H-bomb. Speaking on January 27 after talks with Wang Yi, John Kerry said that both sides agreed on the need for a “strong” resolution against North Korea, and said that limiting the trade of goods and services across China’s border with North Korea was one potential measure. However, Wang Yi said that while China supported the need for a new resolution, it “should not provoke new tension in the situation, still less destabilize the Korean peninsula”. “Sanctions are not an end in themselves,” he added. China is Pyongyang’s biggest trading partner, and major ally – although relations have cooled since Kim Jong-un succeeded his father. Nonetheless, experts say China is wary of destabilizing North Korea, fearing that millions of North Korean refugees could pour across China’s borders if the regime collapsed. The two sides also discussed the disputed South China Sea, where China has multiple competing territorial claims with other countries. China has angered several neighbors by constructing artificial islands on claimed reefs, and building runways and other facilities on them. 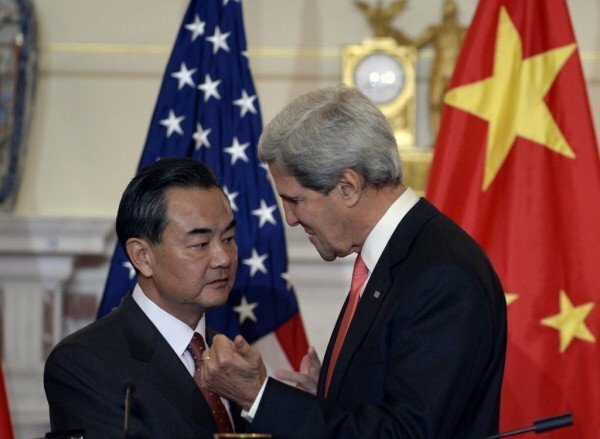 John Kerry called on China to stop construction and land reclamation in disputed areas. However, Beijing said such activity was within its legal rights to protect its territorial sovereignty. John Kerry, who will also meet China’s State Councilor Yang Jiechi and President Xi Jinping, is on an Asia tour that has included Laos and Cambodia. South Korea, Japan and the United States have said they will be united in their response to North Korea’s claim to have successfully tested a hydrogen bomb. 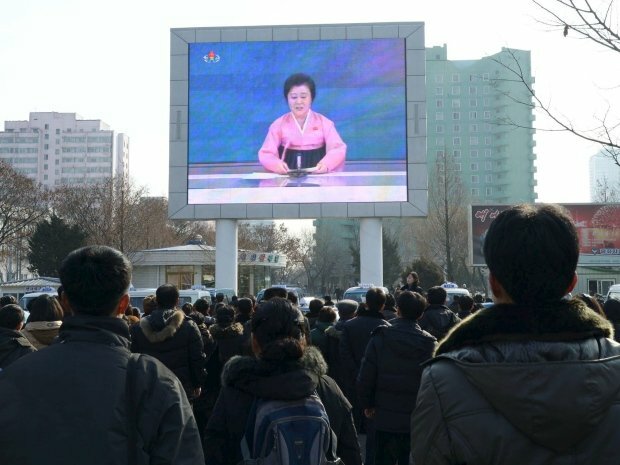 North Korea said it carried out the test on January 6. If confirmed it would be North Korea’s fourth nuclear test, and its first of the more powerful H-bomb. The UN Security Council has also agreed to start drawing up new measures against North Korea. However, skepticism remains over whether North Korea really did conduct such a test. Experts have said the seismic activity generated by the blast was not large enough for it to have been a full thermonuclear explosion. The White House said President Barack Obama had spoken separately to South Korea’s President Park Geun-Hye and Japan’s PM Shinzo Abe. They “agreed to work together to forge a united and strong international response to North Korea’s latest reckless behavior”, it said in a statement. He added that Japan may take unilateral action, saying it is “considering measures unique to our nation”. South Korea’s presidential office said in a statement that Presidents Geun-hye and Barack Obama had agreed to closely co-operate and that the international community “must make sure that North Korea pays the corresponding price” for the nuclear test, reported Yonhap news agency. However, the UN ambassador for Russia, which has been developing warmer relations with Pyongyang, said it would be going “too far” to say Moscow supported further sanctions. 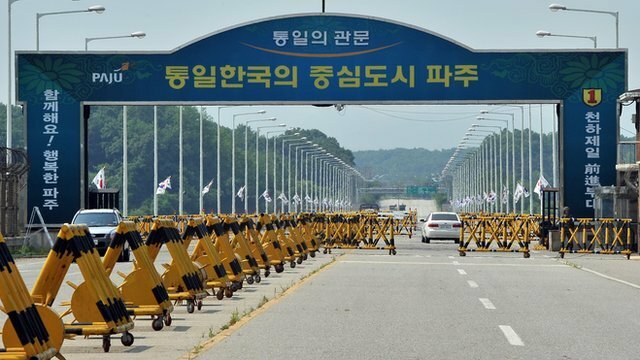 Meanwhile, South Korea has begun limiting entry to the Kaesong industrial park in North Korea, jointly run by both countries. Only those directly involved in operations there will be allowed to enter from the South, said Seoul’s Unification Ministry. 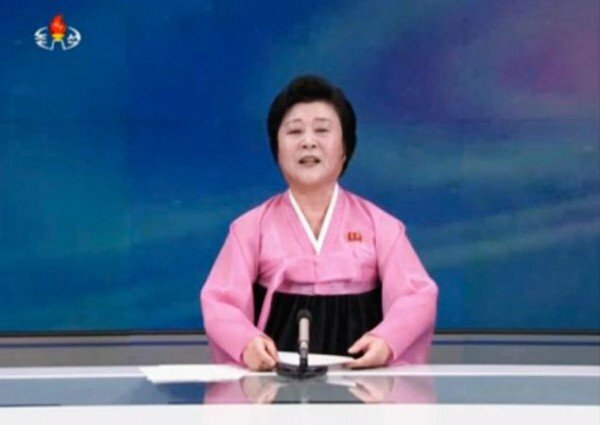 South Korea has also said it will restart propaganda broadcasts across the border on January 8, an act which North Korea strongly opposes. The broadcasts were stopped in 2015 as part of a deal with North Korea to ease tensions that had escalated sharply in the summer. The nuclear test came days before North Korean leader Kim Jong-un’s 33rd birthday, which falls on January 8 and is expected to be marked by celebrations. Atomic bombs, like those that devastated two Japanese cities in World War Two, use fission, or the splitting of atoms. South Korea’s intelligence agency also told politicians that the estimated power of the blast fell far short of what would be expected from a hydrogen bomb. 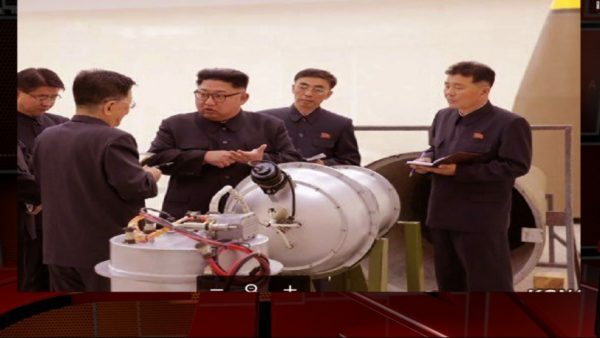 Some analysts have suggested it is possible Pyongyang tested a “boosted” atomic bomb, which uses some fusion fuel to increase the yield of the fission reaction. The United States and nearby countries are thought to be carrying out atmospheric sampling, hoping to find leaked radioactive material, which would give clues as to what kind of device was tested. Asian markets have had a mixed reaction to the nuclear test carried out by North Korea, its third since 2006. 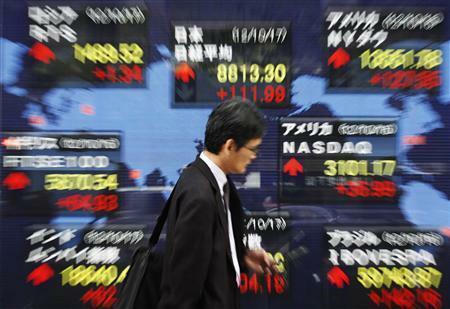 South Korea’s Kospi index dipped 0.3%. Analysts said the test was widely anticipated and was unlikely to have a major impact on investor sentiment. Japanese shares were boosted after the yen continued to dip, raising hopes of a profit boost for the country’s leading exporters. “This is kind of a known – unknown event,” Jasper Kim, said founder of Seoul-based Asia-Pacific Global Research Group. “The markets have already factored in the test,” he added. Markets in China, Hong Kong, Singapore, Malaysia and Taiwan were closed for Lunar New Year holidays. The yen fell after a US official voiced support for Japan’s recent policy moves to try and spur economic growth. The moves have seen the yen slide more than 15% since November, leading to concerns that some countries may oppose Japan’s aggressive stance. The fear was that such criticism might prompt Japan to tone down its policy and the currency could rise again. Analysts said that the support from US Treasury Under Secretary Lael Brainard, especially ahead of the meeting of the G20 group of nations later this week, had helped allay those fears. The finance ministers and central bank officials from the G20 nations are scheduled to meet in Moscow and currency policies are expected to be a key topic of discussion. “Investors were worried that finance ministers would criticize the recent weakness in the yen,” said Hiroichi Nishi of SMBC Nikko Securities. “While currency moves have been sensitive to officials’ comments in general, people thought any comment from the G20 would trigger yen buying. “But such worries are receding as she [Lael Brainard] said she supports Japan’s efforts to end deflation,” he added. The Japanese currency fell nearly 2% to 94.25 yen against the US dollar and to 126.4 yen versus the euro in early Asian trade on Tuesday. A weak yen bodes well for Japan’s exporters as it not only makes their goods less expensive to foreign buyers but also boosts profits when they repatriate their foreign earnings back home.